Find a great deal with the selection of clearance golf clubs by Golfsupport. With three sections dedicated to excellently priced clubs that will be suited to your skill level and style of play. Our range of clearance clubs are brand new and straight from the factory, they are simply no longer in production. These clubs are in pristine condition and ready to add a wealth of value to your golfing arsenal. On some occasions we even add items that could strictly speaking be re-ordered, keep an eye out for these offers as they make for a golden opportunity to get yourself a Golfsupport bargain! Next we have the shop soiled collection. This is perhaps the clearance club section to keep an eye on the most so make sure that you check back regularly. Products in the category could just have had their wrappers removed meaning that they can not be sold as brand new anymore. Find the deals like this and you could be making an absolutely huge saving on clubs that we deem as pretty much new but technically speaking are not. It would be fair to say that they are 9/9.5 in terms of quality on a scale where 10 is the highest quality. We use an expert Club Fitter (a PGA pro who has 20 years plus of experience) to inspect and decide on a grade of quality for the items found in this collection. Last but certainly not least is the pre owned clubs. This is the selection that our customers tend to be most familiar with and the name says it all really. Sometimes we are able to offer some truly great deals on a number of pre owned/second hand clubs. Our aforementioned head club fitter is also able to grade these products and take the stress out of ordering second hand golf clubs. Please click through to this section for further information. These discount golf clubs are perfect for those who want to add to their fine collection but don't want to break the bank. 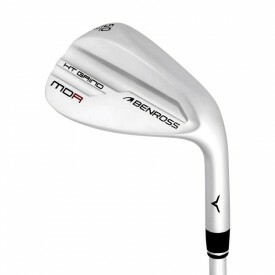 The hobbyist players who want a fine piece of golf equipment but are on a strict budget. Mix and match the various clubs available and put together a quality golf club set at clearance prices.